What's Your preferito Track from "ALIVE"? do te Amore all you'r fans. who`s laughing now o laserlight? Do it like a dude o Domino? Which Jessie J song do te like best? Wow, there is something going down Like the storm in the sky, ooh I ain't gonna be played da your behavior How can I trust someone who's lying to me? Jessie J has cancelled her appearance at today’s Future Musica Festival in Perth. The Pricetag songstress, who travelled from Brisbane overnight with other headline acts including Fatboy Slim, Tinie Tempah and Swedish House Mafia has contracted a “temporary illness” according to statement released da promoters this afternoon. The British singer helped kick off this year’s Future Musica Festival in Brisbane last night before travelling through the night ahead of her set in front of an expectant crowd of 37,000 at Arena Joondalup tonight. Jessie J has been pictured leaving the UK on her way to America to attend the Grammy Awards 2012 and continue work on her secondo studio album. The 'Domino' singer tweeted her fan earlier today (9th February) after being pictured leaving the country da paparazzi photographers at Heathrow Airport in London. Jessie J won the award for her secondo single 'Price Tag', Adele was named for 'Rolling In The Deep' while Katy Perry's 'Last Friday Night (T.G.I.F.)' earned her the achievement. Learn to play the chitarra part for "Do It Like A Dude" with a free video chitarra lesson and tab da Jeffrey Thomas. a poll è stato aggiunto: What is your fave from "Sweet Talker"? 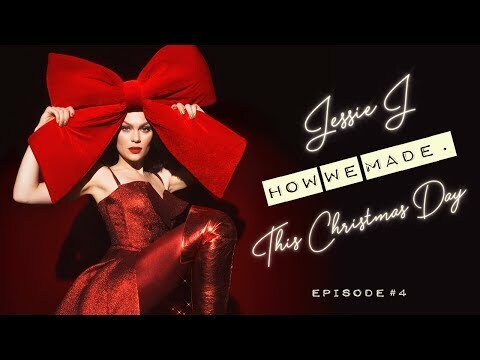 Where was Jessie J born?